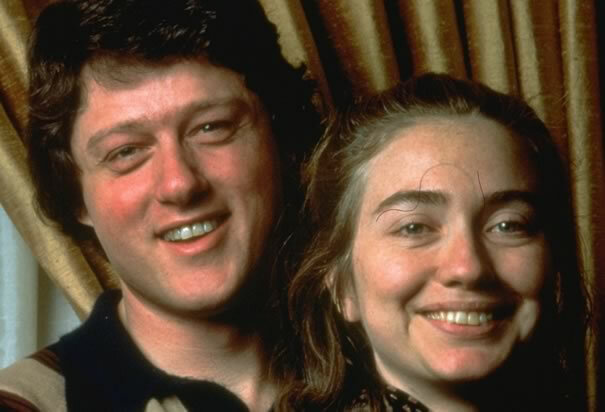 Here is a picture of the young couple Bill and Hillary Clinton. The former U.S President Bill Clinton visited Haiti for the first time in 1975 on a trip sponsored by his friend David Edwards as a wedding gift. When he wrote his autobiography "My Life" in 2004, he mentioned his first encounter with voodoo as the "the most interesting day of the trip". He witnessed a voodoo practice in a village near Port-au-Prince. There the rites were performed by a priest named Max Beauvoir, a former chemical engineer who had studied at the Sorbonne in Paris. Clinton described his first experience with voodoo as a culture, that practices to make sense of life and nature; it virtually works with the universal belief that there is a nonphysical spiritual force at work in the world. Then Clinton was a law professor who had once lost his battle of political campaign, considering for a second run. The priest Beauvoir gave him a brief course in voodoo theology, he decided for a second run and that turned out to be a success. This time, he won -- and was on his way to the White House. Bill learnt one good lesson from Haiti and he wrote: "The Lord works in mysterious ways." Once a Voodoo sorcerer was supplied to him by his friend, the exiled-by-coup John-Bertrand Aristide, and that sorcerer put a curse on the incumbent President George W. Bush, "by manipulating a doll made in the President' s image."